It's only human to worry about problems in our lives--but for some, obsessing for weeks and months, or avoiding social situations due to feelings of panic, can become regular habits. 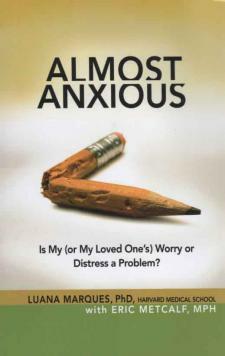 If any of these describe you or a loved one, it could be "almost anxiety." Luana Marques, PhD is an assistant professor at Harvard Medical School and a licensed clinical psychologist in the department of psychiatry at Massachusetts General Hospital in Boston. At MGH she also directs Psychotherapy Research and Training as well as the Hispanic and Clinical Research Programs at the Center for Anxiety and Traumatic Stress Disorders.